Laughing Heart is located in Nevada County California along the South fork of the wild and scenic Yuba River. The vision of laughing heart was born in the young mind of Logan Edwards. He saw at the age of 12 how important becoming sustainable and in harmony with the earth is and set in motion a life course toward acquiring land to homestead using the principles of permaculture. When moving on to raw land that has no grid access there are a number of questions one must ask themselves. Where does the water come from, how can I get it and can I drink it? What kind of sun and wind exposure is there? How does the sun move across the sky in relation to the land? What does the terrain offer as far as garden space, building space, road access? What is the native soil like? 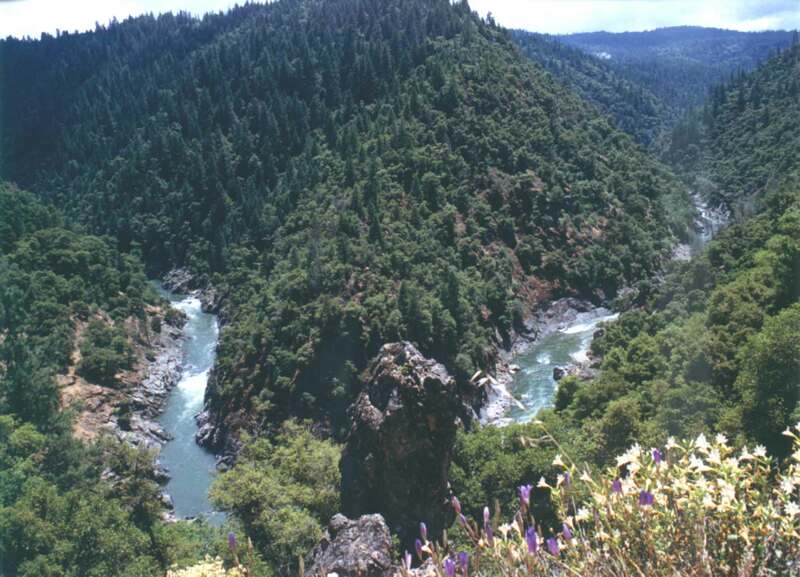 What is the vegetation and wildlife? Will I disturb an important habitat by changing the landscape? What are the weather patterns? What is the annual precipitation? Is there a prevailing wind flow? Asking these questions and taking time to observe helps one to create in harmony with nature.Check out the book “A Pattern Language”. On November 9th, 2004, Logan and I moved onto the land with our 8 month old daughter, Elunara in a fifth wheel trailer. It was a wild and beautiful 9 acre piece of oak savannah. We were blessed to have friends as neighbors who supported our endeavor by letting us get drinking water and take showers. It was the beginning of the rainy season and the soil was just firm enough to get the trailer in place. We spent the first month with no heater and tried to stay warm by bundling up. Then we landed a house sitting gig in the neighborhood. When we returned, we bought materials to build a 12X16 cabin onto the trailer and put in a wood stove. Then we were dry and warm! When thinking about the question of how to sustainably live on the land, water was the #1 concern. A friend who has been known for their divination of wells came to assess where the source of water was for us. We were very fortunate! On the first try we found a well that was easy to access in relation to the driveway and produced plenty of clean drinking water at a depth that is solar pump friendly. 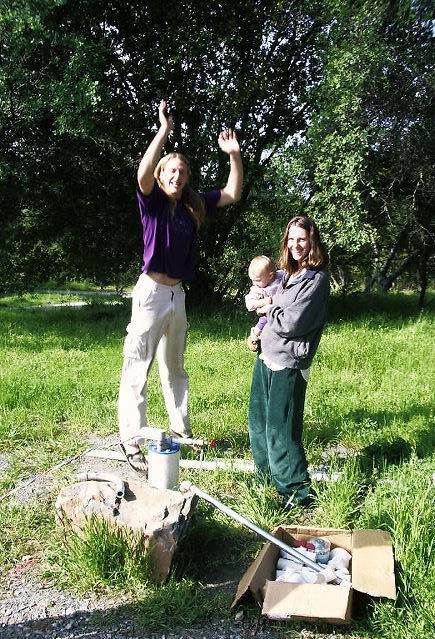 A solar well pump was the best choice for our situation as we have plenty of sun and good southern exposure. We installed our first of several solar well pumps in March 2005. A solar well pump works best when pumping into a large storage tank so you can use water in higher volume or at night. For gravity fed water pressure there is 1 psi for every 2.2ft of head. We put a water storage tank of 2500 gallons at the highest corner of the land. Again fortune shined upon us! We have just enough elevation difference to get us 12 psi at the sink faucet. This is the minimum for getting spray emitters for irrigation in the garden to work well and for feeling like you have enough pressure in a shower. Every faucet we buy we have to modify from its factory form and take out the flow regulators in order to allow the 12psi to be enough. In standard waterlines the psi is 60. I think the decreased flow is a natural water conservation attribute. Spring arrived, and so did the instinctual need to plant seeds. With running water a garden is possible. The garden spot was clear, literally clear! In general, the garden wants sun sun and more sun, so wide open space is ideal! We were blessed with a natural meadow that was relatively flat and perfect for a large garden. In our area we have LOTS of critters, including a very large and healthy population of deer, so a fence was a must. We brought in compost and minerals to amend our clay rich soil and planted all the yummy green things we could think of eating. When we moved onto the land we decided to take a year and observe the way the energy and seasons moved through the land before we made any major changes. 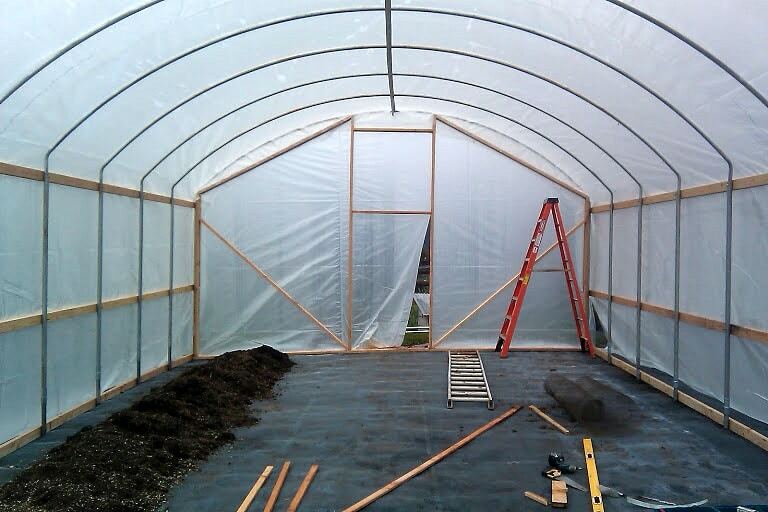 And it took building two structures with major mess ups as far as window and door placement before we really dialed in wind direction and weather patterns on the land. But luckily we got all that before we began to build our dream home! We chose to wait and observe before doing anything permanent, but the trailer was moldy and our daughter was having some health problems, so we needed a temporary yet reliable and affordable structure. What we came up with was a canvas tent on a platform attached to the cabin we had built. At this point we have had 7 wonderful years in this structure and it will dutifully last another one or two until we get our new house finished. The tent made in Durango, CO by David Ellis was the best $3,000 we have spent! By the time the first year had passed we had come a long way with a warm dry home and running water. We started out using the outhouse system of digging a hole, and putting a seat over it. Pooping in it and putting our paper in the hole. When that filled up we would dig a new hole, by hand of course, and move our wooden seat over it. The holes seemed to fill up faster than we had time or energy to dig holes worth moving the cumbersome structure, and in the summertime, the clay based soil becomes nearly impossible to penetrate with a shovel. It was in a messing moment of near despair with our toilet situation when we were turned on to the Humanure Handbook by some friends who were in nearly the same situation as ourselves. This revolutionized our system and made it much less labor intensive. We did let the 5 holes we dug sit for a season or two and then planted Douglas fir and cedar trees to diversify the forest. The beauty of starting out slow has many faces and allows for deep appreciation of the things that create convenience in life. Most American children, like myself, grow up thinking that these conveniences are given, like clean running water, hot water, a stove to cook food on, a refrigerator, electricity for light and countless devices. Now I get the chance to see all the energy it takes to have that in place. Another benefit is how it brings awareness to the order of priorities. For us the main priorities are developing in sacred alignment with the harmony of earth and reaching to live a sustainable life. It was some time in our second year on the land that we got hot water and an outdoor shower. To have running water felt like a necessity, but to have hot running water was the most satisfying luxury thus far. Because of our low psi we chose a standard hot water tank. Modern on demand water heaters require a regulated pressure of 35-75 psi and electricity to function. Currently we are investigating and planning a solar hot water system for our main dwelling. It was not until 2007 that we got electricity for lights and other electronics. We started out slow, four batteries, three 180 watt solar panels, two light bulbs and a radio. Now we have two industrial 1050 amp hr batteries and twelve 200 watt panels. This is enough electricity to run a washing machine, many light bulbs, our well pump, and most any kitchen appliance. Granted, when operating a household with solar power one has to be aware of how many of these things are being used at one time and to use the washing machine and such when the sun is on the panels. In 2008 our family expanded with the birth if our second child, Tule. Shortly after Tule arrived in the family we got the inspiration to build our temple. 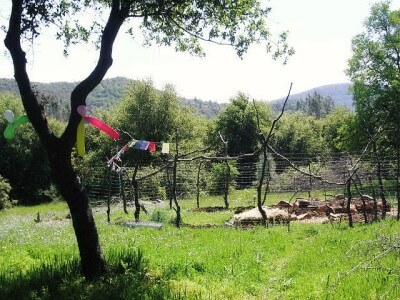 That summer we began to build our first earthen structure on the land. 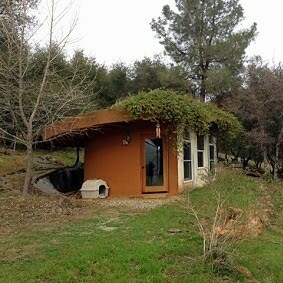 A 20ft half oval cob dwelling with a living roof. We currently use it as our bedroom. It will become our Healing and Meditation temple when our permanent home is built. Each year seemed to bring another substantial growth. We built a greenhouse in 2010 , our second son and third child Simran was born in 2011 and we began building our dream home in 2012. In future articles we will dive into these latest projects more in depth. Just a note on the human side to this journey. We landed on the land when I was 22, Logan 21 and Elunara 8 months, excited, blessed, idealistic, naive, and ambitious. I was a new mom, with one friend in the area that had a child and a lot of neighbors completely grateful to have us in their lives, but not daily. The feelings I often remember having where those of isolation and anxiety next to hope and purpose. I missed my mom, my family, all my loved ones that I thought we were leaving for a summer job that turned into a new life, a destined life, the opportunity for the life Logan had always dreamed. For years all the work that happened on the land projects were done on weekends with money Logan’s grandmother would pass along as early inheritances. Logan spent about 40 hours a week working construction to pay for the family’s needs, and I stayed home on the land with our beautiful little girl. The beauty is that through constant focus and a continued effort and grace we now see so many of the dreams coming into form. Our family has grown over the years, with our three children bringing such life to the farm. In January of 2012 Logan’s mom moved onto the land with us and now we are a multigenerational family. In May 2012, we began building our new home of earthbag and light straw clay construction. Our dear friends Ember and Andres spent the summer of 2012 building with us and plan on returning for an indefinite amount of time. 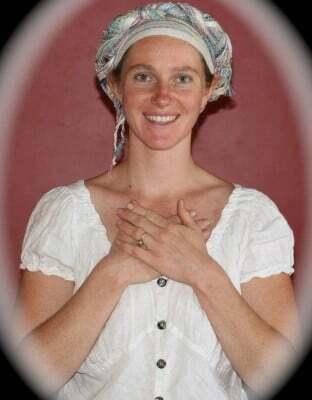 Their arrival brought expansion, balance and companionship to the homesteading process. It has felt to me that doing it alone is much less enjoyable than building a sustainable living environment with companions and friends. This summer Laughing Heart will be full and active as we begin building our new home, cultivating our gardens, and nurturing our relationship with each other and the land.